Some of the bodies – of health workers, local officials and journalists – were found in a septic tank in a village school near the city of Nzerekore. Correspondents say many villagers are suspicious of official attempts to combat the disease. More than 2,600 people have now died from the Ebola outbreak in West Africa. It is the world’s worst outbreak of Ebola, with officials warning that more than 20,000 people could ultimately be infected. Neighbouring Sierra Leone has begun a controversial three-day curfew to try to stop the spread of the disease. The team disappeared after being pelted with stones by residents when they arrived in the village of Wome – in southern Guinea, where the Ebola outbreak was first recorded. A journalist who managed to escape told reporters that she could hear villagers looking for them while she was hiding. A government delegation, led by the health minister, had been dispatched to the region but they were unable to reach the village by road because a main bridge had been blocked. On Thursday night, government spokesman Albert Damantang Camara said the victims had been “killed in cold blood by the villagers”. The bodies showed signs of being attacked with machetes and clubs, officials say. Six people have been arrested and the village is now reportedly deserted. The motive for the killings has not been confirmed, but the BBC’s Makeme Bamba in Guinea’s capital, Conakry, says many villagers accuse the health workers of spreading the disease. Others still do not believe that the disease exists. Last month, riots erupted in Nzerekore, 50 km (30 miles) from Wome, after rumours that medics who were disinfecting a market were contaminating people. Speaking on Thursday, French President Francois Hollande said France was setting up a military hospital in Guinea as part of his country’s efforts to support the West African nations affected by the outbreak. He said the hospital was a sign that France’s contribution was not just financial, adding that it would be in “the forests of Guinea, in the heart of the outbreak”. The World Health Organization said on Thursday that more than 700 new cases of Ebola have emerged in West Africa in just a week, showing that the outbreak was accelerating. It said there had been more than 5,300 cases in total and that half of those were recorded in the past three weeks. The epidemic has struck Liberia, Sierra Leone, Guinea, Nigeria and Senegal. A three-day lockdown is underway in Sierra Leone in a bid to stop the disease spreading. The Ebola response in Liberia, the country worst hit by the outbreak, will focus on community-level care units since new treatment centers are unlikely to be ready for weeks or months, World Health Organization Assistant Director General Bruce Aylward said on Tuesday. “The absolute first priority is to establish enough capacity to rapidly isolate the cases so that they are not infecting others. We need Ebola treatment centers to do that, very very quickly, but they take time to build, as you’ve seen,” he said. “It takes weeks, if not months, to get these facilities up and running. We have firm commitments for more than 500 additional beds in Liberia and we think we will hear announcements that will take that even further over the coming weeks.” The WHO still has a goal to “bend the curve” in total Ebola case numbers across West Africa within three months, but some areas may be free of the disease sooner, he said. “You definitely want to get Nigeria and Senegal obviously done quickly,” Aylward said. “In some capitals – Freetown, Conakry – we should be able to get those free in the near term. Guinea should be able to get most of the country free in the very near term as well.” In Sierra Leone and Liberia the disease is more entrenched over bigger geographic areas and the Liberian capital Monrovia was a “particular challenge”, he said. 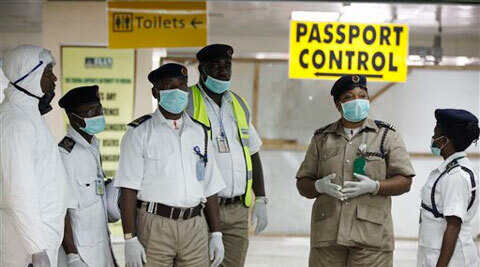 With Ebola virus scare on the rise, South African Airways on Wednesday said it had taken a series of steps, including installation of thermal scanners at airports in that country to detect affected passengers and regular fumigation of its aircraft to prevent its spread. Thermal scanners, which detect high temperatures among passengers, have been installed at O R Tambo Airport in Johannesburg and affected travellers, when identified, were quarantined and assessed at medical facilities at the airport, the airline’s country manager Sajid Khan said in a statement. He said regular fumigation and disinfection of South African Airways’ aircraft were also being carried out. “Following the reported outbreak of the Ebola virus in West Africa, the South African National Department of Health is on high alert and would like to assure all tourists travelling to South Africa about all precautions being taken to prevent the EVD (Ebola Virus Disease). “The department is working in close coordination with key organisations like the World Health Organisation and the United States Centres for Disease Control and Prevention, among others,” Khan said. Allaying fears, he said since South Africa does not share a land border with any of the affected countries, it falls under the category of ‘low risk countries’, like India, Europe and most other nations. The death toll from the Ebola outbreak in West Africa has now risen to at least 1,350 people, World Health Organization said today. The latest figures showed that the deaths are mounting fastest in Liberia, which now accounts for at least 576 of the deaths. The UN health agency also warned in its announcement that “countries are beginning to experience supply shortages, including fuel, food, and basic supplies.” This comes after a number of airlines and shipping services have halted transport to the worst affected capitals of Liberia, Sierra Leone and Guinea. In a desperate bid to halt the disease’s spread, authorities in Liberia have quarantined off a huge slum that is home to 50,000 people. Protests erupted in West Point today, where residents threw rocks at police. 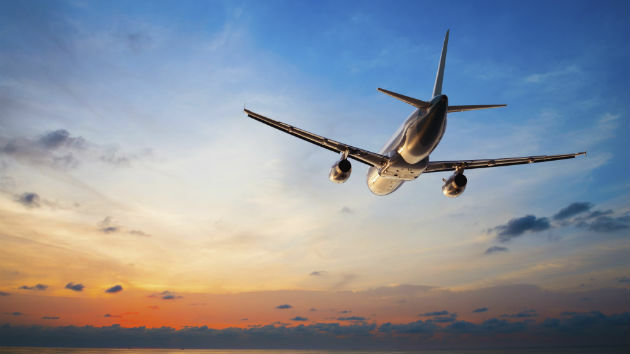 The Centers for Disease Control and Prevention upgraded its travel advisory for West Africa Thursday because of the raging Ebola outbreak, saying people should avoid nonessential travel to Guinea, Liberia, and Sierra Leone. “This Level 3 travel warning is a reflection of the worsening Ebola outbreak in this region,” CDC said in a statement. A new report released today by two United Nations agencies identifies a “top 10” of food-borne parasites with the greatest global impact, including those found in pork, fish, fresh produce, fruit juice and milk, among other foods. “Obviously this top ten is a more general, global perspective and does not necessarily reflect parasite rankings at a national level where each country may have more precise information,” Renata Clarke, head of food safety and quality at FAO, said in a news release. 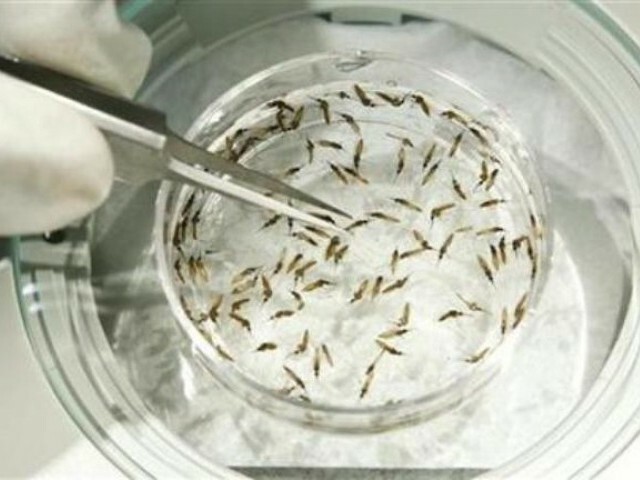 The parasites affect the health of millions of people every year, infecting muscle tissues and organs, causing epilepsy, anaphylactic shock, amoebic dysentery and other problems, the agencies noted. Some can live on in people’s bodies for decades. Despite their huge social costs and global impacts, information is generally lacking regarding just where these parasites come from, how they live in the human body, and – most importantly – how they make people sick. The list and report were developed following a request by the global food standards body, the Codex Alimentarius Commission (Codex), for FAO and WHO to review the current status of knowledge on parasites in food and their public health and trade impacts. The report lists a number of ways to reduce the risk of parasite infections. For farmers, it advises the use of organic fertilizer, particularly on produce, should be closely monitored to ensure it is composted properly and all faecal matter is removed. Water quality must also be closely monitored. For consumers, it advises that all meat should be well cooked and only clean water should be used to wash and prepare vegetables. The agencies noted that in Europe, more than 2,500 people are affected by food-borne parasitic infections each year. In 2011, there were 268 cases of trichinellosis and 781 cases of echinococcosis recorded in the European Union. Meanwhile, there is no data at all in most African nations on the prevalence of food-borne parasites in humans because of a general lack of surveillance systems. In the United States, Neurocysticercosis, caused by Taenia solium, is the single most common infectious cause of seizures in some areas of the US where 2,000 people are diagnosed with neurocysticercosis every year. Toxoplasmosis is a leading cause of food-borne illness and death. Malaria burden remains high in border towns in Zimbabwe, especially in areas close to Mozambique, health experts have said. While the overall national statistics indicate a major decline from 5 000 deaths to 300 per year, border districts like Mudzi are still recording high cases. Speaking during the launch of the Zimbabwean leg of the race against malaria (RAM) 2 campaign at Nyamapanda clinic last week, deputy minister of Health and Child Care, Paul Chimedza said the initiative was paying special attention to the worst affected areas. “The communities that live in these areas are closely interlinked,” he said. Chimedza said the disease burden was weighing heavily on the battered health delivery service. He said there was need for more funding from partners. Currently the Global Fund and a few other partners are contributing to malaria control programmes. 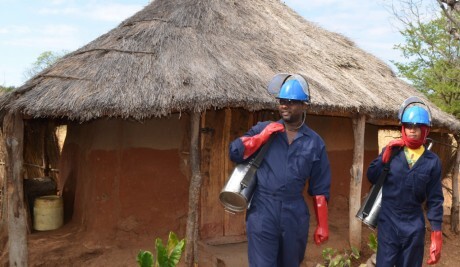 The provincial medical director for Mashonaland East, Simukai Zizhou said 28 000 cases of malaria had been recorded in 2013 in Mudzi, accounting for over 20% of the population. “At the moment areas like Uzumba Maramba Pfungwe, Mutoko and Mudzi top the list,” he said. Cross border movement was posing a challenge to programme interventions and RAM was initiated in Sadc to maximise efforts to control malaria. Initiated in 2003, RAM includes countries like Angola, Zambia, Mozambique, South Africa, Swaziland and Zimbabwe. RAM is a Sadc initiative to create awareness and mobilise resources for action against malaria and to strengthen malaria control infrastructure within the region. The first RAM campaign was held in November 2003.Convoys of country malaria teams drove from Angola to Dar-es-Salaam (Tanzania) through Zambia, Zimbabwe, South Africa, Swaziland, Mozambique and Malawi. During the campaign, regional and local partners including the corporate world were instrumental in mobilising malaria commodities which were distributed to support activities for malaria prevention and control in the region. RAM 2 campaign, which is a reverse of RAM 1, started from Dar-es-Salaam, Tanzania on April 13 2014 and will end on April 25 2014 in Angola. Countries taking part in RAM 2 include Zambia, Democratic Republic of Congo, Malawi, Mozambique, Zimbabwe, South Africa, Swaziland, Namibia, Tanzania and Angola. The participants of RAM 2 include individuals, institutions or organisations that share the need for a malaria-free Africa and seek to achieve parasite-free communities. These include Government departments, UN agencies, non-governmental organisations, the Corporate world, private sector, health professionals, and uniformed forces. The death toll from the worst Ebola outbreak in seven years climbed to 83 in Guinea as the aid organization Doctors Without Borders said the disease’s geographical spread marks the flare-up as unprecedented. 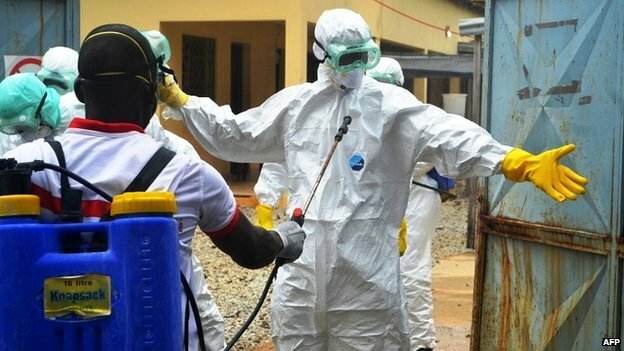 The outbreak is the first in Guinea, which reported five new cases, raising the total to 127 suspected or confirmed illnesses, Tarik Jasarevic, a WHO spokesman in Guinea, said today. The pattern of infection, with patients found in the coastal capital of Conakry as well as villages in the country’s southern area, marks this outbreak as different, according to Mariano Lugli of Doctors Without Borders. The Guinean towns of Gueckedou and Macenta, near the border with Liberia, have been hardest hit, with 55 and 14 deaths respectively, according to the nation’s health ministry. There are 11 confirmed cases in the capital Conakry, and three deaths, Jasarevic said yesterday by phone from Guinea. Bats, a local delicacy, appeared to be the “main agents” for the Ebola outbreak in the south, Rene Lamah said. Sixty-two people have now been killed by the virus in Guinea, with suspected cases reported in neighbouring Liberia and Sierra Leone. Ebola is spread by close contact. There is no known cure or vaccine. It kills between 25% and 90% of victims, depending on the strain of the virus, according to the World Health Organization (WHO). Symptoms include internal and external bleeding, diarrhoea and vomiting. 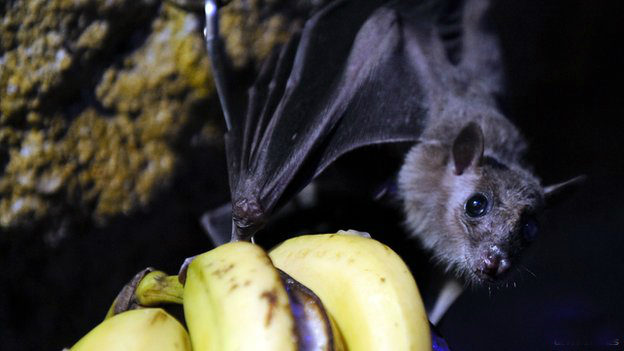 Mr Lamah announced the ban on the sale and consumption of bats during a tour of Forest Region, the epicentre of the epidemic, reports the BBC’s Alhassan Sillah from the capital, Conakry. Other ways of preparing the bats to eat include drying them over a fire. Certain species of bat found in West and Central Africa are thought to be the natural reservoir of Ebola, although they do not show any symptoms. Health authorities are receiving help from the WHO while messages are being broadcast on national television to reassure people. 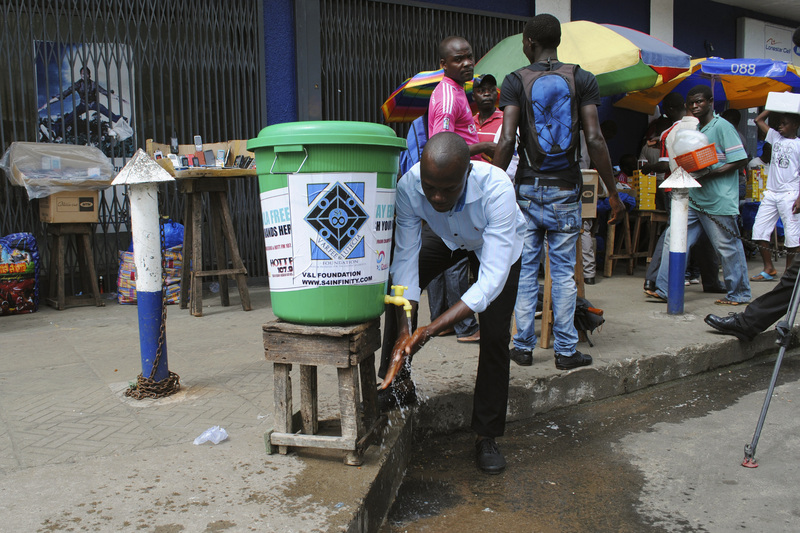 Sierra Leone’s health ministry said it was investigating two suspected cases of Ebola. “We still do not have any confirmed cases of Ebola in the country,” its chief medical officer Brima Kargbo told AFP. “What we do have are suspected cases, which our health teams are investigating and taking blood samples from people who had come in contact with those suspected to have the virus,” he added. Mr Kargbo said one suspected case involved a 14-year-old boy buried in a Sierra Leonean village after he apparently died across the border in Guinea two weeks ago, AFP reports. The other patient was still alive in the northern border district of Kambia, he added. Five people are reported to have died in Liberia after crossing from southern Guinea for treatment, Liberia’s Health Minister Walter Gwenigale told journalists on Monday. However, it is not clear whether they had Ebola. Outbreaks of Ebola occur primarily in remote villages in Central and West Africa, near tropical rainforests, the World Health Organization says. An outbreak of the deadly Ebola virus has killed at least 59 people in Guinea and is suspected to have spread to neighbouring Liberia. Health workers in Guinea are trying to contain the spread of the disease which causes severe internal bleeding. In neighbouring Liberia, health officials said they are investigating five deaths after a group of people crossed the border from Guinea in search of medical treatment. 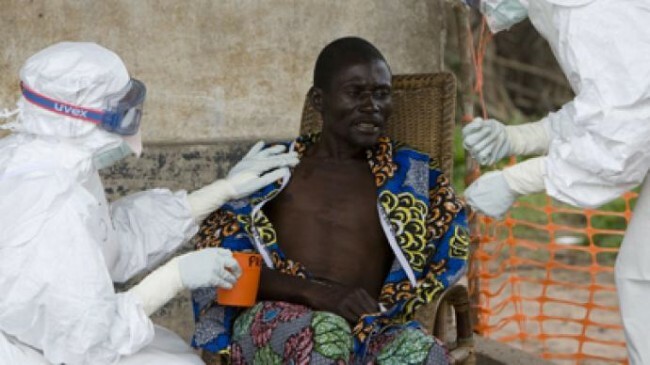 “The team is already investigating the situation, tracing contacts, collecting blood samples and sensitizing local health authorities on the disease,” Liberian Health Minister Walter Gwenigale said. Already health workers fear the outbreak could overtax Liberia and Guinea, both deeply impoverished countries with severely limited medical facilities. Officials in Sierra Leone are also on high alert and have sent medical teams to the border with Guinea, though no cases have emerged so far. 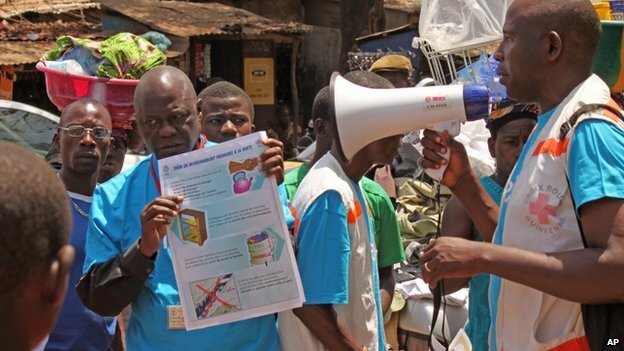 “The Ebola fever is one of the most virulent diseases known to mankind with a fatality rate up to 90 per cent,” said Ibrahima Toure, Guinea’s country director for the aid group Plan International. “Communities in the affected region stretch across the borders and people move freely within this area. This poses a serious risk of the epidemic becoming widespread with devastating consequences,” he said. The World Health Organization said it is dispatching experts to help ministry officials in Guinea. Efforts were underway to keep the virus from reaching the capital of Conakry, home to some 3 million people. Panic erupted Sunday amid reports that two of the deaths had occurred in the capital. However, on Monday authorities said that those cases were only under investigation and later proved not to be positive for the virus. As the government issued messages on state radio and television urging people to wash their hands and avoid contact with sick people, medical officials said supplies of chlorine and bleach were running out at stores. “I usually take a taxi to get to work but in order to avoid contact with strangers, I’m going to walk instead, said Touka Mara, a teacher in Conakry. 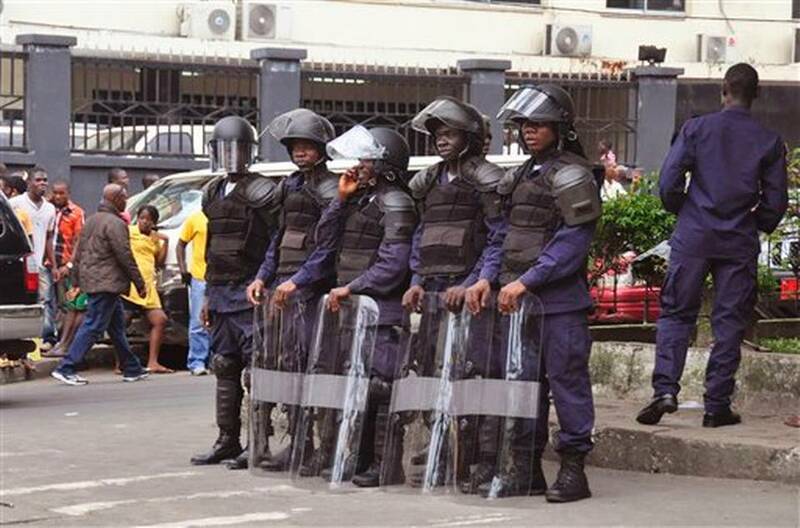 Authorities said that goods in Conakry that had been imported from the affected part of the south were being quarantined as a precautionary measure. Ebola was first reported in 1976 in Congo and is named for the river where it was recognized. Ebola outbreaks were reported in Congo and Uganda in 2012. The virus can be transmitted through direct contact with the blood or secretions of an infected person, or objects that have been contaminated with infected secretions. During communal funerals, for example, when the bereaved come into contact with an Ebola victim, the virus can be contracted, health officials said.